Kirsten visited us and brought along her mother’s ring which had been crafted using the stones and metal from some of her grandmother’s jewellery. 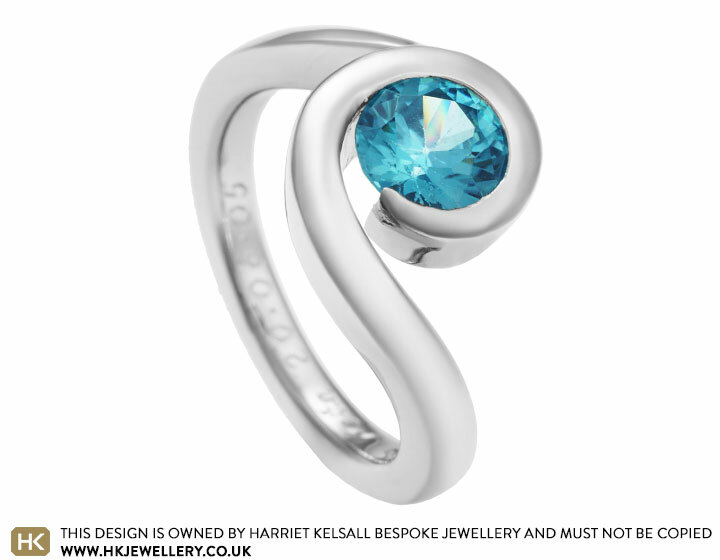 Kirsten wanted to carry on the tradition and create a new piece of jewellery with striking blue zircon from her mother’s ring. 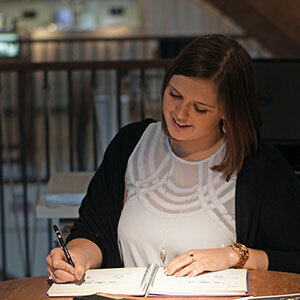 Kirsten didn’t want a traditional eternity ring design; instead she loved the idea of a twist style design which would really enhance the special stone. 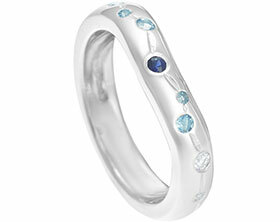 The palladium band tapers toward the central stone and has been completed with a polished finish. 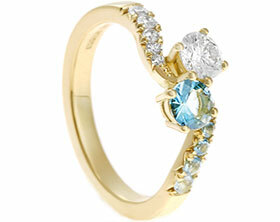 Bespoke 9ct white gold aquamarine and topaz eternity ring. 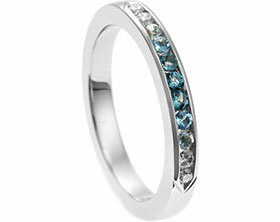 9ct white gold eternity ring with various stones.